Have you suffered a fractured sternum, bruised sternum or a broken sternum in an accident that wasn’t your fault? Whether you suffered a broken sternum in a car accident, bicycle accident, accident at work or an accident in a public place like a shop or restaurant, then you could be entitled to make a fractured sternum claim. Trust Legal Expert to help you managed your claim for compensation. We are a trusted legal advisor. Call Legal Expert now on 0800 073 8804 for your free consultation. We will tell you whether or not you have a valid compensation claim case, advise you on how much your fractured sternum injury settlement could be worth and match you to the best personal injury solicitor to handle your case, all at no extra cost to you. In this case study, we are going to look at the case of Mr E (whose name we have abbreviated to protect his privacy). Mr E works as a Police Special Constable and Claims Handler and was 30 years old at the time of his accident. The accident occured when he was riding home from work, using a cycle lane. A car was parked half off and half off the cycle lane. As he rode by the car, the driver opened the door. Mr E was unable to swerve as he would have been hit by a passing car and had no choice but to be hit by the car door. Mr E came off the bike, hit the windscreen of the car behind him, bounced onto the car bonnet, then finally hit the ground. Mr E became unconscious but was told later that he suffered a total heart block and his body went into shock by eyewitnesses. Unfortunately, it took 40 minutes for a rapid response vehicle to arrive, and an hour for an ambulance to get to the scene of the accident. Unfortunately, because cyclists don’t have any external casing on their vehicle they are one of the most vulnerable groups of road users. In 2016 alone, 18,447 cyclists were injured on the road. 3,397 were seriously injured and 102 were killed. Whilst it is imperative that cyclists obey the rules of the road and take precautionary measures like wearing a helmet, drivers of cars, vans, buses or lorries are responsible for not endangering cyclists when driving near them on the road. Once the ambulance arrived Mr E was rushed to the emergency trauma unit at Wythenshawe Hospital. Because of the impact, he had suffered he was considered a special case. His condition was stabilised and he was kept in for one week for treatment on the general ward. The injuries Mr E suffered were a fractured sternum (also known as a breastbone), fractured ribs, and a punctured hole in his chest. As you can imagine the fractured sternum injury had plenty of long-term effects. Mr E had to take three weeks off work but suffered post-traumatic stress disorder (PTSD) as a result of his ordeal, which affected his police work. His relationship broke down and he described himself taking “three years to get back together again” psychologically speaking. Physically he was also left with scars on his chest from his fractured sternum injury and cartilage lumps. Despite his fractured sternum recovery, his heart has been affected and he may need an operation in the future, which could affect his career in the police force. Mr E decided to pursue a fractured sternum claim for compensation and hired a personal injury solicitor to help him do so. Unfortunately the Defendant, the driver who opened their car door onto the cycle lane and hit Mr E refused to admit liability and blamed Mr E for the accident, which caused the Claimant further psychological stress and made the fractured sternum claim more complicated than it needed to be. The fractured sternum claim went to court because of this. The day before the fractured sternum claim was due to proceeded to court, the Defendant pleaded guilty. Mr E was awarded £30,000 as a fractured sternum injury settlement. Have you suffered a broken sternum, sternum fracture or bruised sternum symptoms in an accident wasn’t your fault? If someone else is responsible for your injuries then you could make a claim for compensation. Legal Expert can match you to a top no win no fee solicitor, where the solicitor will offer you a Conditional Fee Arrangement (CFA), also known as a no win no fee service. This means that you will only pay your fee if your claim for compensation is successful. No win no fee is a more affordable way to claim compensation as there is no upfront fee to pay, and no financial risk as you’ll have nothing to pay if your claim is unsuccessful. Call Legal Expert today about making a no win no fee claim, or read our online guide. 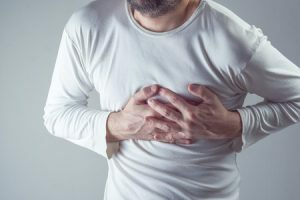 Whether you suffered a fractured sternum in a car accident, accident at work, on holiday or in a public place, if someone else was responsible for your injuries Legal Expert can help you make a fractured sternum claim for compensation. We work with top personal injury solicitors, some of which have over 30 years experience who can get you the fractured sternum injury settlement amount that you’re entitled to. Call Legal Expert today, or use our online claims form to make your inquiry, for your free phone consultation. We will assess whether or not you have a valid case, estimate the size of the compensation payment you can receive and will match you to an experienced personal injury solicitor, all at no extra cost to you. Call us today, we’re looking forward to hearing from you. How Much Can I Claim For A Cycling Accident Claim? Help and advice for Claimants involved in a cycling accident which left them with injuries. Advice for claiming compensation for road traffic and cycling accidents.